Join a group Kilimanjaro climb and Safaris Tanzania. Last minute travel deals booking online is available for solo travelers. Cheap backpackers and bargain travel deals are available. Scheduled departure groups on Machame route, Lemosho and Rongai route invite solo travelers to join Kilimanjaro tours. Southern circuit safari Tanzania group departures are available on selected days of each week. Tanzania safari itineraries available to join group are 4 days Selous Game Reserve safari, 6 days Mikumi National park and Selous safari itinerary, 8 days is Southern circuit Tanzania safari itinerary including Selous, Mikumi and Ruaha National Park. Nature wonder wildlife safari 10 days include Udzungwa National park, Ruaha, Mikumi and Selous game reserve. If you are single person or solo traveler, joining group safari is ideal way to save cost and get budget Tanzania safaris. Sometimes 2 people can decide to join a group to make sure travel cost is low. Private safari booking is available for party of 2 people or more. 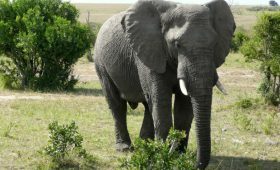 Private safari is exclusive nature wildlife safari in Tanzania to watch all big 5 wildlife animals in Africa. Price cost options are prepared according to number of vacation holiday days and how many people in a party during booking. Bargain travel is allowed and last minute booking is available for budget camping safaris, basic tented camps in the wilderness of Serengeti National park and Ngorongoro crater. Joining Kilimanjaro climb group or budget camping safaris is most valuable for people who look for travel buddies or solo travelers. Schedules group departures is available for selected Kilimanjaro routes such as Machame, Rongai and Lemosho. Join groups on scheduled departure dates during best season to climb Mount Kilimanjaro. The time of Year with favorite weather for climbing Mount Kilimanjaro are July, August and September, though June, October and November are also good because nowadays weather is fluctuating due to global warming. Machame route is famous Kilimanjaro route with seats to join and climb Kilimanjaro in a group. It is guarantee to book trip and get seat for you to join a scheduled group hiking up Kilimanjaro if you book early from now. Price become cheap if you join a group. Backpacker hotels are available to save money. Backpackers travel group joining is available through Machame route. Daily Kilimanjaro treks is organized through Machame route. Budget Camping safari joining group is available on Tanzania safari itineraries 4 days wildlife tours, 5 days adventure safaris and 6 days budget camping safaris. Booking group travel joining trip is easier and booking online. Steps to register and reserve spot to trek Kilimanjaro is confirmed by paying Credit Card through Skrill or Payoneer. Climbing mount kilimanjaro is adventure of life time, you can climb kilimanjaro through machame, rongai, marangu, lemosho or shira. Kilimanjaro trekking welcome climbers to form groups. Machame route is most scenic beauty and have good acclimatization. Rongai have good acclimatization also and it is easiest to first time climbers. Budget travel deals are suitable for solo travelers and backpackers. Backpackers get cheap Kilimanjaro Kilimanjaro trek Rongai and budget travel Machame. Book cheap flight tickets to fly to Kilimanjaro Airport Tanzania. Wildlife safaris in Tanzania is another vacation holiday in Tanzania. Safari tour to tourist destinations like Lake Manyara, Serengeti, Ngorongoro crater, Tarangire, in Northern Circuit. Also safari to Selous game reserve, ruaha, mikumi, udzungwa in Southern tanzania safari without forgetting chimpanzee trekking. Budget safari booking and last minute booking for solo travelers is available. Wildlife safari travel packages include safari itinerary of 3 days safari, 4 days lodge safaris, 5 days adventure safaris, 6 days wildlife safaris and 7 days Budget camping safaris. Information, planning and booking depends if you are honeymooners, Family or pre organised group. Other Options are available like joining group on arrival. 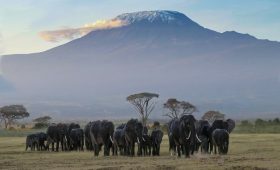 Joining a safari group in Tanzania and Kilimanjaro trekking adventures. Thousands of travelers come to Tanzania each year looking to join a group on safari or a climb up Mt. Kilimanjaro. These travelers – usually backpackers – are looking to save some money and join a fun group for their adventures. The theory is, the more people you have on a climb or on safari, the lower the price. In fact, it’s almost too expensive to go on safari alone (Kilimanjaro can be managed), Booking Tanzania safari on a budget cost is available. Another advantage of joining a group especially on climbing mount kilimanjaro, is that you get more courage, and share history of other climbers. Joining a group is not a common word in Africa Adventure Safaris. This is useful when you are traveling alone ( solo traveler) and wish to buy a trip in Tanzania or any other tourist destinations in East Africa. Last minute travel deals for safari in Tanzania Uganda and Kenya. Last minute travel deals are not a new phenomenon in East Africa safaris. Tourists planning climbing Mount Kilimanjaro in Machame route, Rongai route, Shira route, Lemosho routes have better deals and advantage. 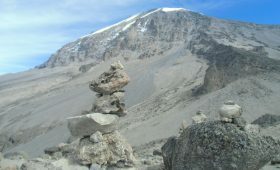 Rongai route is Kilimanjaro route easier to climb and available. Kilimanjaro trekking Rongai route is cheap and meets your budget. Same wise last minute is easier planned for camping safaris in Tanzania and Kenya. Last minute travel deals do not insist on prior Lodge/hotel reservations in the national parks or game reserves. We are always prepared to offer you comfortable wildlife viewing tours or mountain climbing trips like Kilimanjaro trekking, Oldonyo Lengai e.t.c. We organize safaris Holidays in Kenya. National Parks and other tourist sites. (iii) Beach Holidays in Mombasa and Malindi Kenya.